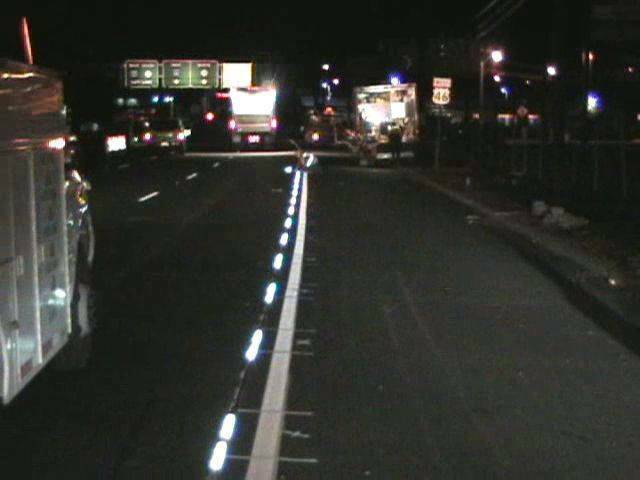 LEDline� guidance, lighting systems, improve road safety and reduce traffic congestion as they are designed to reduce viewer confusion, by making critical safety/guidance markings, (painted lines, barriers, signs etc. ), visible in just about any weather. Improved visibility gives viewers more time to react, which increases safety reduces accidents and. Increased safety/efficiency and reducing hesitation /delays = increased airport, road or building capacity and efficiency. 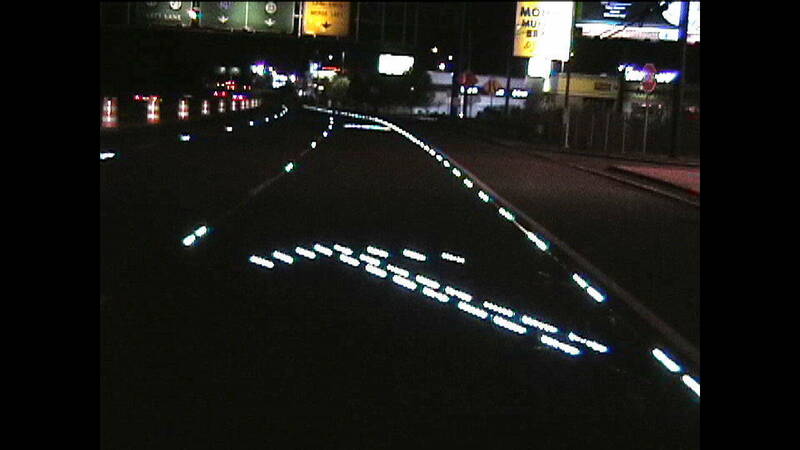 LEDline� is a nighttime or daylight visible LED Lighting system designed to be seen and give guidance in full sunlight, thereby reducing traffic congestion by allowing for extra lanes to be created on roads, bridges and tunnels during rush hour traffic, increasing traffic flows. Creating extra lanes during rush hours maximizes infrastructure efficiencies and use. Once rush hour is over, then the extra lanes can be turned off for normal traffic flows.